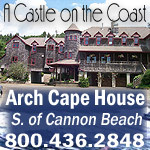 (Oregon Coast) – One of the biggest tourist attractions on the Oregon coast is the area’s restaurants. In fact, tourism authorities report the average visitor to the coast will spend a greater percentage of their travel dollar on food. There have been some intriguing, new eateries popping up on the beaches in recent months, and then there are some stalwarts that are legendary delights. Some are high-end and upscale, others are in the fast food realm but have some true distinction one way or another. Tasting the Oregon coast is a vacation all its own. Here are some out of the ordinary examples. Tavolo Restaurant and Lounge. Located in the new clubhouse at Sandpines Golf Links, Tavolo offers breathtaking views of the golf course. 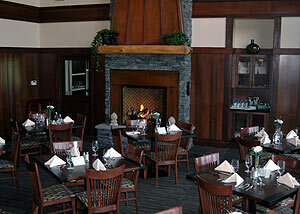 The dining experience is unique and will appeal to both golfers, coast travelers and of course the local population. In Italian, Tavolo means “table,” and the menu reflects that aesthetic with an appealing presentation of Italian favorites. It also features many of the specialties the Oregon coast is known for, such as crab, fresh salmon, tender and juicy filet mignon, creamy New England Clam Chowder and fresh, warm homemade breads. The chef here creates healthy alternative choices for any dietary need, without sacrificing flavor or quality. Try the house signature dish, the "Rees Jones Beef Bourguignon,” a golden puff pastry on top of garlic mashed potatoes with Scottish-style beef stew. Daily specials vary, but always include fresh, exciting pasta and seafood choices. The décor at Tavolo is reminiscent of a Scottish lodge with vaulted ceilings, wood paneling, a rock fireplace, soft accented lighting and all of the special touches you would expect of an upscale environment. The lounge features a cozy sports bar, with a wide variety of local and seasonal brews, fine scotches and liquors, an extensive wine list and full menu service. 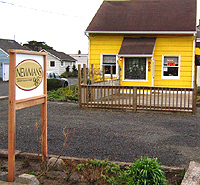 Newman’s At 988, Cannon Beach. Call the fare here “New York-style Italian and French,” with the atmosphere provided by a lush table layout, candles, a beautiful, muted paint job on the interior walls and music often by Tony Bennett or Frank Sinatra wafting through the background. There are pastas or fish selections which change daily, a lamb rack with mire poix rague, a steak that comes either tenderloin or New York-style with tomato, spinach, polenta and pancetta, among other selections – all around $24. The menu of appetizers is truly amazing, with famed chef John Newman’s signature crab cakes topping the list. Another stunner is the pasta with fois gras with truffles, which is a condensed duck liver sizzled and browned to absolute perfection, tasting more like the most perfectly done steak you’ve ever had. Desserts are also notable and full of delicate, artfully created surprises. Newman’s runs a rather long list of specials each night. 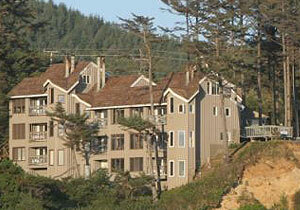 988 Hemlock, Cannon Beach. 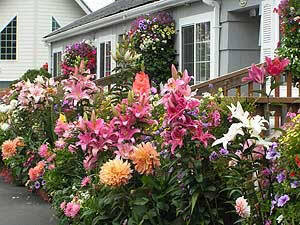 (503) 436-1151. www.newmansat988.com. Tidal Raves, Depoe Bay. Views to die for; food to die for. 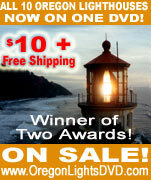 That's what you'll find it at this truly ethereal classic that's been wowing folks for years. Soups include frighteningly good chowders in the clam, smoked salmon and spinach oyster bisque veins. Their specialty entrees range from $14 to $21, and include things like a grilled salmon with rockshrimp risotto and a smoked tomato broth, a crab casserole with an Alfredo sauce and white cheddar, a hearty cioppino, a Thai version of tiger shrimp - and a maniacally good mélange of fish and pasta called the "Pasta Rave" in your choice of tongue-levitating sauces. For around $15, there's another set of seafood concoctions like crab cakes, a platter mix of seafood with basmati rice, top sirloin or a salmon and shrimp in pecan butter. There's a lighter menu for around $10 that includes smaller versions of these dishes. And then there's that incredible view, where whales are more likely than not to hang around. Hwy 101, Depoe Bay. (541) 765-2995. Muchas Gracias, Seaside (and Lincoln City and Newport). For fast Mexican food, these guys rule supreme. It's nothing short of hearty and seriously inexpensive. Huge burritos come around $3.50, with some intriguing combos that can't be missed. Tacos clock in around $2. Large entrees with a huge variety of delights are between $5 and $7. Enchiladas, tostadas and incredible cheese quesadillas are also cheap and substantial. It's so filling it's scary. Cruise through the drive-in for goodies to go. They’re often open late. 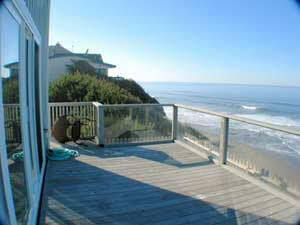 1313 Roosevelt Dr., Seaside. (503) 738-7360. There is also one in Lincoln City, and the one in Newport is actually called Oscar’s. Bell Buoy of Seaside/Bell Buoy's Best Fish House, Seaside. That ancient sign - that quaint bit of old time Americana on the roadside of 101 in Seaside - is also a sign of great grub. It's famous for as a fresh seafood market, but in recent years Bell Buoy added a much-lauded restaurant: Bell Buoy's Best Fish House. There, you can grab all manner of seafood melts, cocktails, shooters and baskets of yummy stuff. Let your tummy bask in the warm glow of excellent melts with local Dungeness crab, shrimp, smoked salmon and oysters, as well as delicious seafood cocktails of a large variety. All is quite reasonably priced. One of their crowning achievements is their lush and tasty tuna melts, filled with a monstrously delicious rush of tuna delirium. 1800 S. Roosevelt Dr., Seaside. (503) 738-6348. Marzano's, Manzanita. The idea of "gourmet" takes on new levels at this pizza hotspot. Highlights include the Spicy Italian, which includes provolone, pepperoni, pepperoncini and whole cloves of roasted garlic. There's The Greek (mozzarella, sundried tomatoes, olives, feta, artichoke hearts and topped with herbs) and the Smoked Prosciutto Ham, (with garlic herb olive oil sauce, smoked prosciutto, red onions, roasted red potato and montegrappa). Particularly stunning is their homemade Italian sausage, which includes garlic and fresh herbs - about four or five different ingredients. The result is a truly powerful taste. There are also calzones, soups and salads. You can get stuff to go as well. 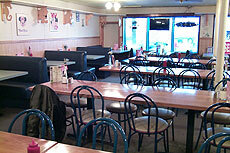 60 Laneda Ave. (503) 368-3663. Chowder Bowl, Depoe Bay. Great views, great food and that cute little choo-choo train running around the entire length of the room: this is what greets you at this little charmer facing Depoe Bay's famous crashing waves. Their famed chowder is a must-try as well. Burgers, sandwiches that are hot and cold and, of course, fish sandwiches abound. For major dinners of lunches, grab their copious portions of fish & chips with either cod, scallops, clams or shrimp for around $11. There's the enormous Seafood Platter, with fish, clams, scallops and oysters for $19, and other dishes that include sautéed tiger prawns or Yaquina Bay Fried Oysters around $13. Their chili, however, is a serious monster. Made with top sirloin, the Chowder Bowl has created something with an impressive array of layered delights – especially for such a simple comfort food. 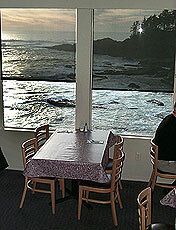 Highway 101, Depoe Bay. 541-765-2300.